SunCan's fully automatic solar radiation measurement system, which is developed and produced by SunCan, is a set of automated solar radiation measurement equipments, which implements fully automatic accurate solar tracking, automated data aquisition, and unattended surveillance. With a fully automatic high accuracy solar tracker SunAuto, which is developed and produced by SunCan, and some solar radiation sensors, the system is able to measure different solar radiation such as Global Horizontal Radiation, Direct Normal Irradiance and Diffuse Horizontal Irradiance, and also complete solar resource assessment and meteorological data recording. 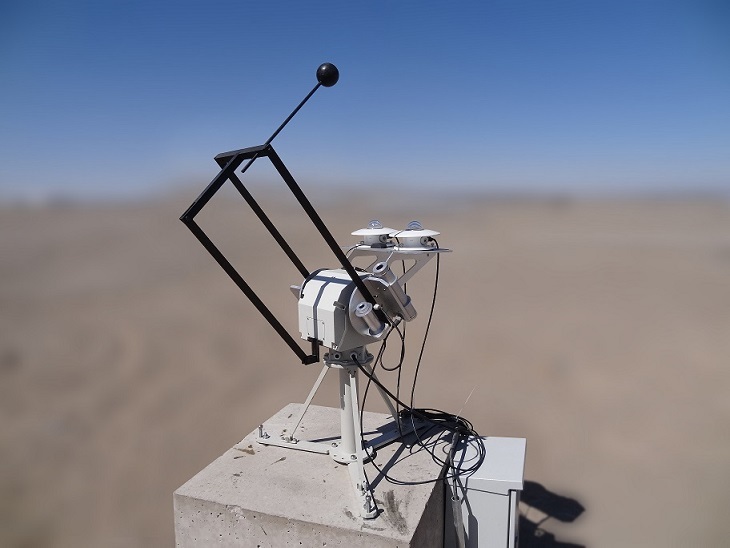 Field tests show that, with a tracking error smaller than 0.1 degree, it fully meets the solar tracking accuracy requirement of solar radiation sensors (smaller than 0.5 degree), records measurement data both vaild and reliable, and also meets fully automatic measurement requirement of unattended surveillance. It is a new tool for solar radiation measurement industry.